Forum member and SkateFurther founder Ben Hall is currently making his way south from John O’Groats. Ben is aiming to beat the current JOG-LE record set by Ben Stiff last year. Ben is travelling solo with a rucksack after ditching his trailer due to reliability issues. 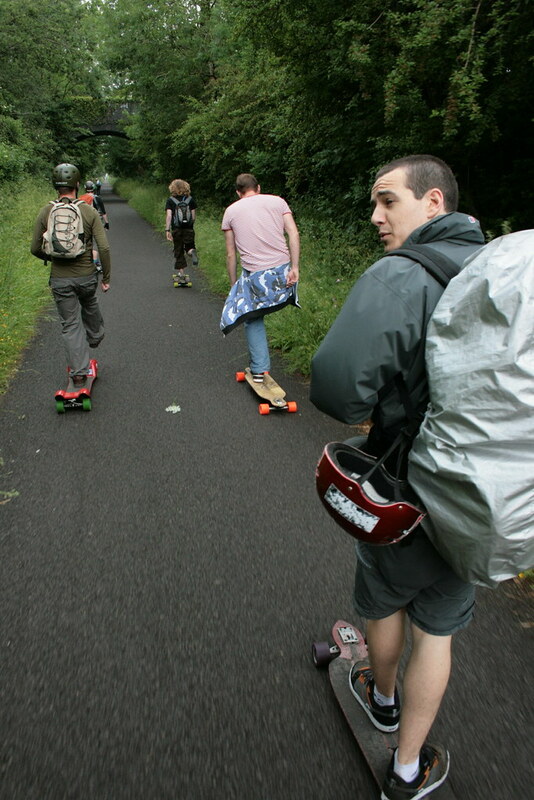 Ben joined the masses at last weekends Bath to Bristol wearing his full set up and looked pretty comfortable with the weight. Laura has got a map up and running and we at Skatefurther are keeping in constant contact with our man. Next Next post: New 24 hour Distance Record – 250.5 miles.